Kosi Bay is in the most North-eastern part of South Africa, on the Indian Ocean and the border with Mozambique. It falls within the iSimangaliso Wetland Park, South Africa's first World Heritage site. Visitors leave with clear memories and imprinted images of the intriguing fish traps that can be seen when approaching Kosi Bay Mouth, as well as the beautiful beach and snorkelling opportunities at the mouth. But this is only the estuary, a small section of the 18,550 hectares that was declared as a wetland of international importance on 28 June 1991. The complete Ramsar site consists of 4 circular lakes interlinked with narrow, twisting water channels. From the South, these lakes are named as Amanzimnyama (“dark water”), Nhlange, Mpungwini, Makhawulani, and then the estuary that ends in a wider channel leading to the Indian Ocean close to the Mozambique border. The estuary and mouth are the most accessible areas of Kosi Bay. Snorkelling is very popular and rewarding in the water channels leading to the mouth which is generally open to the Indian Ocean throughout the year with a width of 20 – 50 m and 3 m deep. Kayaking is possible on the shallow waters of the estuary with its dense set of fish traps. 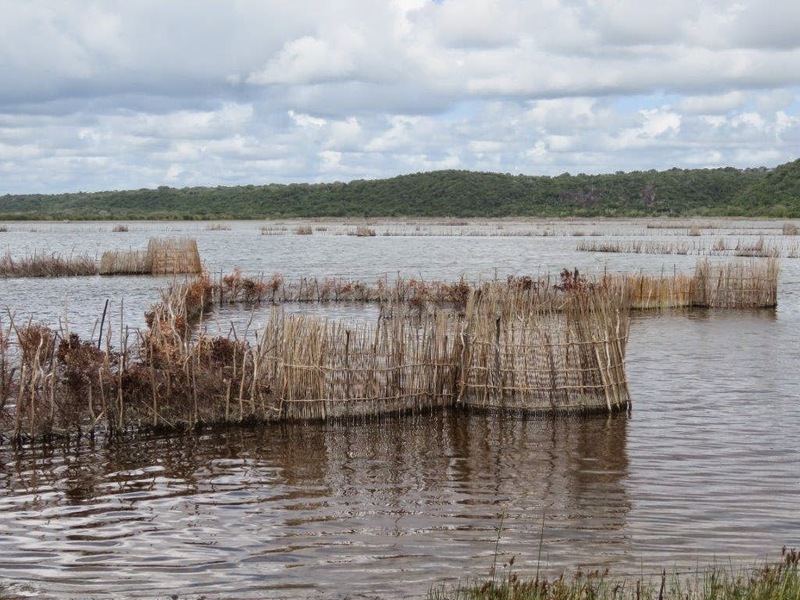 Due to steps taken by the conservation authorities to discourage other methods of fishing in the area, these fish traps contribute to a vibrant fishery operated by the younger generation of the local communities. 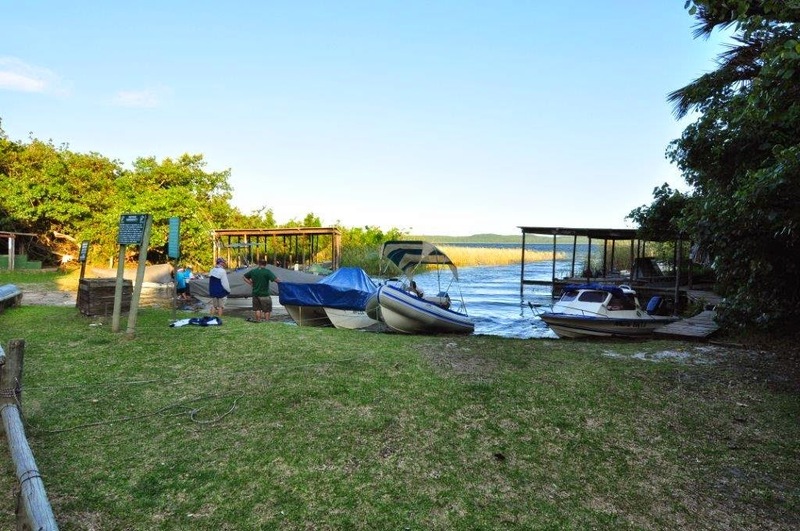 About 10 kilometers South from Kosi Bay Mouth, on the Western side of the biggest of the 4 lakes (Nhlange), is the Kosi Bay Camp Site, managed and operated by Ezemvelo KZN Wildlife. This is the only other access point to the wetlands and lakes. Water sports, including motorised boats for fishing, can be launched from the jetty in the camp site. We camped here over a weekend in March (out of season), and it was clear that this is a popular spot for fishermen from all over KZN and Mpumalanga. All the chalets were occupied as well as the camp sites surrounding the jetty. There are several other lodges and bush camps around the lakes, but none with direct access to any of the lakes. Bhanga Nek on the South-eastern side of Kosi Bay is also a popular adventure destination because of its close proximity to Lake Nhlange, as well as the Indian Ocean on the Eastern side (separated only by a small dune). There are two roads leading to Kosi Bay. The most travelled road is the R22 from the N2 that leads to kwaNgwanase, the well equipped town about 10 kilometers from the lakes and less than 20 kilometers from the border post to Mozambique. 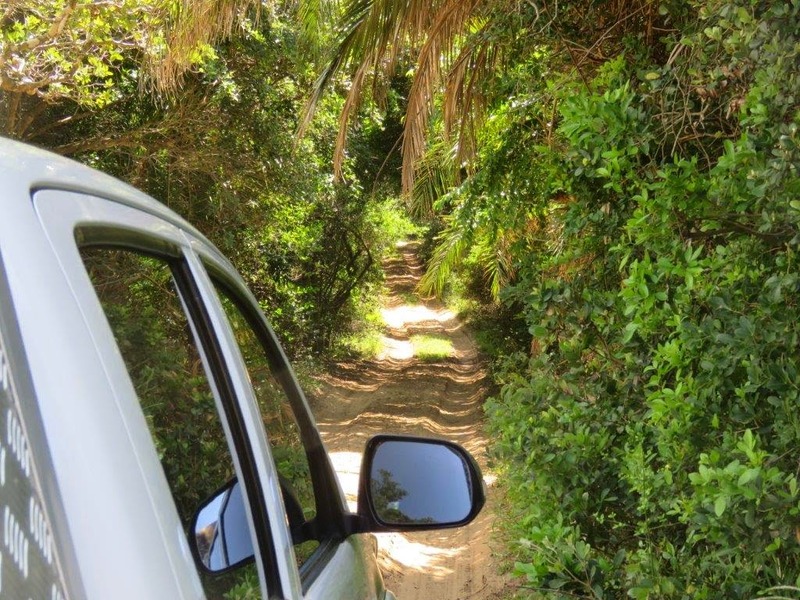 The other road is much more adventurous and exciting, but it requires a 4x4 vehicle. 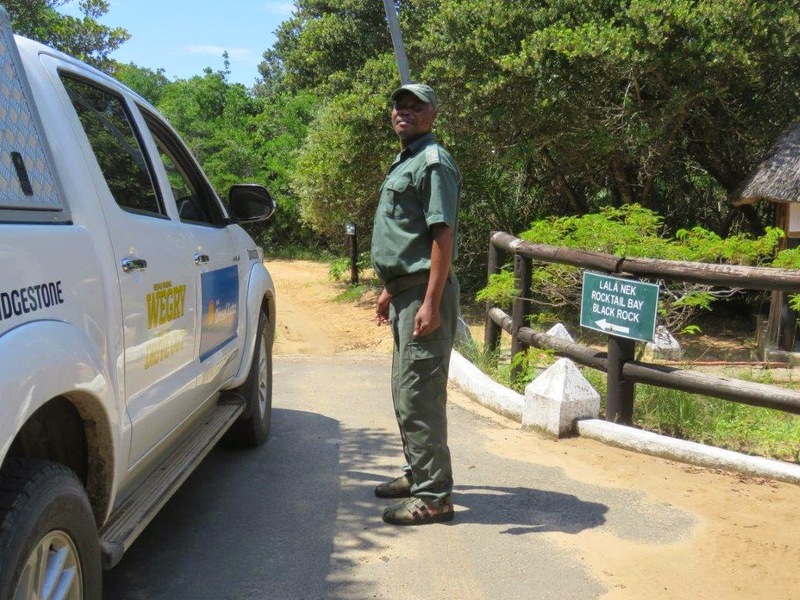 That is the D1843 Coastal Forest road, a sandy jeep track leading from Sodwana Bay in the South all along the coast, over and through dense vegetated sand dunes and forests. The road goes past other attractions such as Lake Sibaya, Island Rock, Lala Nek, Rocktail Bay, Black Rock, up to Bhanga Nek. Although it is only 80 kilometers in distance, it will take you between 4 and 6 hours to complete. If you have a 4x4 and time, do not miss out on this road. Kosi Bay supports a rich and diverse fish life – up to 133 different species of which 85 are marine species. Birding is also prolific with 247 recorded species of which 85 are water or estuary birds. Amongst these birds are some rare species, notably the Flufftail, Whitebacked Night Heron and the Crab Plover.